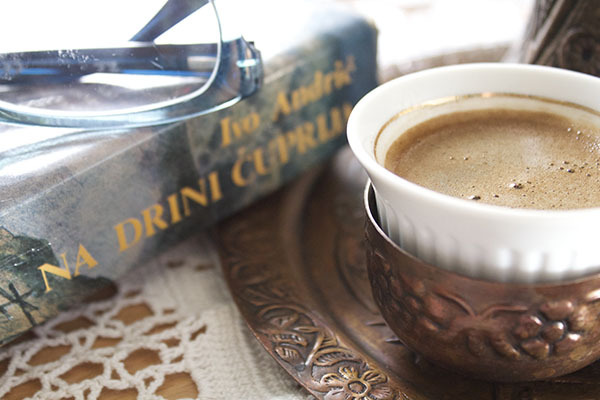 Bosnian Coffee. Smooth, dark, strong. Unforgettable! Although I started drinking coffee very early (I was 7), it was a hard win. My grandma relented only after months of my scheming. There was an arsenal of legends old folks would tell children to prevent them from trying coffee in secret. Not only did coffee stunt growth, grandma claimed, but girls who drank coffee grew a tail. I was skeptical but it was enough for our mutt Chubby to drag his ghastly train of hair through the kitchen, for my patience to return. Grandma eventually put a miniature coffee cup in front of me. 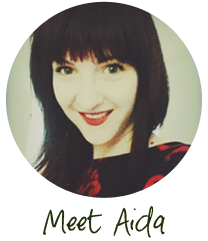 The moment my lips crinkled into an ‘o’ to greet the black liquid pursuing melted sugar on my tongue, my body delighted in this coming of age. “We’ll keep this between us,” she said. If by chance someone from the Balkans offers you coffee, don’t expect to leave soon. Coffee is the culture. It’s a verb. It’s what you do to keep yourself sane. It’s also a way to show someone they mean something to you. It’s a time investment one is making, and if they’ve invited you this means they think a lot of you. 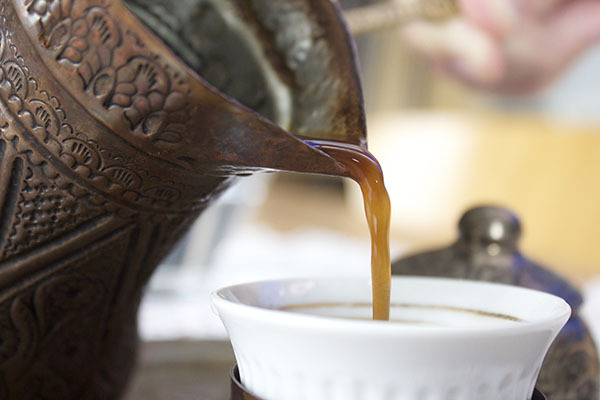 If you’ve never had it before, it’s deep and rich, and just a tiny bit weaker than traditional Turkish coffee. It’s prepared in the coffee pot called “džezva,” and you can easily find it on Amazon, C&B or Sur La Table (look for a Turkish coffee pot). It’s served in small espresso cups. Trust me, you only want a cup or two, and you sip it slowly. 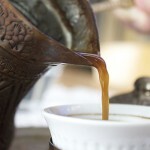 Set water to boil in a separate pan (electric kettle is fine), and place the coffee into a Turkish coffee pot/ dzezva. When the water boils, pour it into the coffee pot and mix well. Place the coffee pot on the hot stove ring, and leave for several seconds, watching it doesn’t boil over. Once the coffee rises and is almost about to spill from the pot, remove the pot from the hot stove ring to the cool part of the stove, and let settle down for another several seconds. Add some boiling water left over from before to the coffee pot, mix the coffee, and place the pot back on the hot ring. When it’s close to boiling over, remove from the hot ring again. Repeat steps 3 & 4 once or twice. The goal is to have the coffee rise up a couple times, so that it develops a smooth cream-like top layer. When you’re ready to serve the coffee, start by grabbing a teaspoon of the top layer and adding it to each coffee cup, and then pour the rest of the coffee in. This will allow the cream layer to rise to the top of each cup. Serve with Turkish delights, sugar or milk. IMPORTANT: Your measurements will depend size of the coffee pot you’re using. The measurement used in this recipe is 1 teaspoon for every cup of water. After you’ve made coffee this way a few times, you’ll find out if you like it stronger or weaker and can adjust accordingly. You can use regular roast bean coffee from any grocery store. The trick is to grind it very well. Hi Heather! Glad you visited Sarajevo. Yup, super easy, tasty coffee, to go with your matching coffee set. Thanks for stopping by! I’m not familiar with US vendors selling the original coffee sets, and most shops in Sarajevo as far as I know don’t do online orders. However, even in Bosnia most people don’t drink out of the old school coffee sets you probably saw on Baščaršija. It’s not about that set really, it’s about a good pot and the way you make the coffee, so my recommendation is as follows. 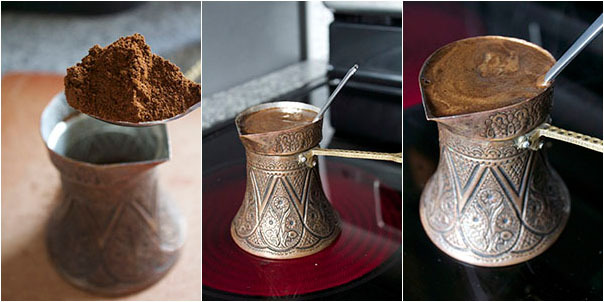 Search for a “turkish coffee pot” on Amazon and get one that looks similar to what you saw in Sarajevo. Also search for “espresso coffee cup set” and get a set. Then go to your neighborhood grocery store’s coffee aisle. Get a medium roast of decent coffee, and grind it down until its consistency is similar to that of flour. Then follow the recipe above. Thank you for that. I should have said in my previous reply that we would like the set for a souvenir from our time in Bosnia. Haha, your grandmother must have been a sweet lady. The “girls who drink coffee grow a tail,” myth is really cute. I’m going to try making coffee this way. It sounds really good. Cheers ???? Hope you make and enjoy the coffee, and thanks for stopping by!